1. Immersion: make English a part of your everyday life, by reading and listening to as much English as possible, to enable you to learn and hear more vocabulary and grammar that you can use when speaking in English. 3. 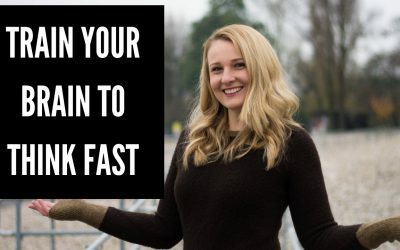 Learn vocabulary in phrases, not single words: this will help you think of these words faster when you have to speak in English and avoid misusing words. Pay attention to the whole phrase and think about that phrase. Is it a phrase that you could use when you have to speak in English in the future? 5. Talk to yourself in English: if you have no one to speak to, talking to yourself in English is a great way for you to start training your brain to think faster in English. You could do this by talking to yourself about your day, about what you did yesterday, what you will do on the weekend, your goals and dreams…. talk to yourself about anything you would like to talk about in the future. 7. Role-play conversations: create role-play situations you may find yourself in the future. You could talk about people you will meet during that day and try to think of all the questions they may ask you and how you may answer these questions. This will help you think faster in the future when you have to speak about these topics in everyday life. 8. 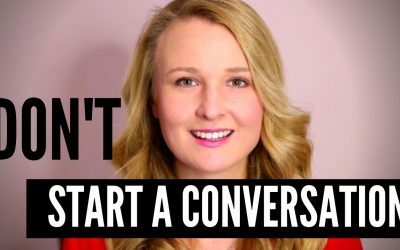 Get an English-speaking friend or partner: one of the best ways to think faster and speak in English is to speak with real people. Find people to speak to on a regular basis to interact and practice what you have been practicing every day. This will give you the motivation to continue learning and improving, and see your results in your real life interactions with other English speakers. 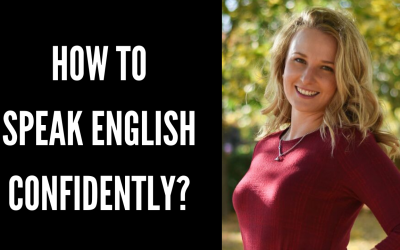 Important notes: if you use these tips on a regular basis, you will see your ability to think and speak in English improve over the next few months, provided that you are consistent! It is not enough to be using these tips once a week or once a month… use an apply these tips for 15-30 minutes a day, and you will see improvements over the next few months. I want to improve fluency.what should l do? Adriana, I found your tips to learn how to think in English excelent. I taught English in Uruguay, my own country for 30 years. I started learning English at the age of 12, which was an advantage, for I had gone through the same difficulties my students were facing. I will tareas so me of your tips. NEVER use a bilingual dictionary When reading do not consult the dictionary until you find yourself stuck. Once you have cleared the issue, go on ŕeading immediately. Finally, do not miss any opportunity you may have to use English in conversation. NEVER FEEL EMBARRASED WHEN YOU MAKE A MISTAKE. During elementary stages the role of the teacher is the most important,. In the intermediate period, your role gets more and more impotrtant. In the advanced classes YOU MUST PUT THE BIGGER EFFORT IN PREPARING THE LESSONS, READING, LISTENING TO AND SPEAKING ENGLISCH OUTSIDE THE CLASS!The teacher will become just a guide. I am very eager to learn how to speak english vonfidently… However I am quiet hesitant if this is for free? What monolingual dictionary you recommend? I personally use the Merriam Webster app because definitions are clear and concise. There is a free version and a paid version without advertisements. I personally use the Merriam Webster Dictionary app because definitions are clear and concise. There is a free version and a paid version without advertisements. It is really going to help second language speakers. I personally always tried to improve vocublary but never paid attention towards phrases. Thanks for the great, enriching video. Can I find a Partner for practice here? reply and ask interesting questions to others here in the comments and you may find someone to speak with! I like the video a lot. Thank you very much. Most difficult thing for me is the grammar and remembering the suitable words. Also I am afraid of making mistakes. Glad that you found this video useful 🙂 I will try to make a video about mistakes in the future to help you out, thanks for being here! Thank you and congratulations. Didactic information. I can think fast in mind but can’t speak,I am good at English but can’t speak. Does using a dictionary and speaking to someone will improve my speaking skills…? Thanks a lot. My problems are grammar, remembering appropriate word at a time and sometimes tenses also become difficult for me. Thanks for sharing this with us 🙂 Try using the tips from the video above to help you overcome this! I want to be a fluent speaker. Do suggest me the best way to improve the fluency. Thanks for being here and for your kind words 🙂 Glad these videos help! This is not the first time I start learning this so important language and I can write, read and speak a little my real problem is to understand when people speak that’s why if I could have the possibility to listen more frequently real conversations I could interact with other people because in general people understand me but I don’t understand others when they speak in English. I am not able to speak English fluently plzz help me to improve communication skills in English language. Plz help me to speak English fluently. l really interest in leaning engish ..